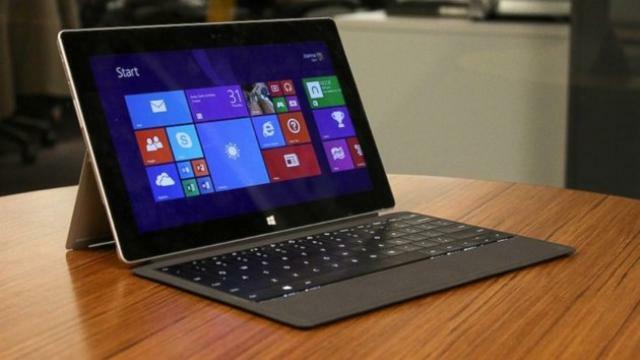 Microsoft Surface Pro 2 Vs. Microsoft Surface Pro 3 - Which Is The Better Buy? Current market trends show that laptops are slowly but surely going out of fashion. Users are switching more and more towards the mobility and easy functionality offered by tablets. There are numerous offerings of tablets available in today’s market. We’ve taken two of these – Microsoft’s Surface Pro 3 and Surface Pro 3 and compared their features for you to be able to make a better choice. Microsoft launched these devices originally as the Surface RT and the Surface Pro and as time has passed, we’ve seen a significant improvement in their functionality offered as well as their performance. Starting with the basics, the Surface Pro 3 has several display gains over it’s predecessor. Microsoft has increased the screen size on it’s latest offering, with the Surface Pro 3 having a display of 2160×1440 pixels coupled with a pixel density of 208 ppi. Compared to this, the Surface Pro 2 has a display of 1920 x 1080 pixels with a ppi value of 214. This is because in the Surface Pro 3, Microsoft has increased the screen size. 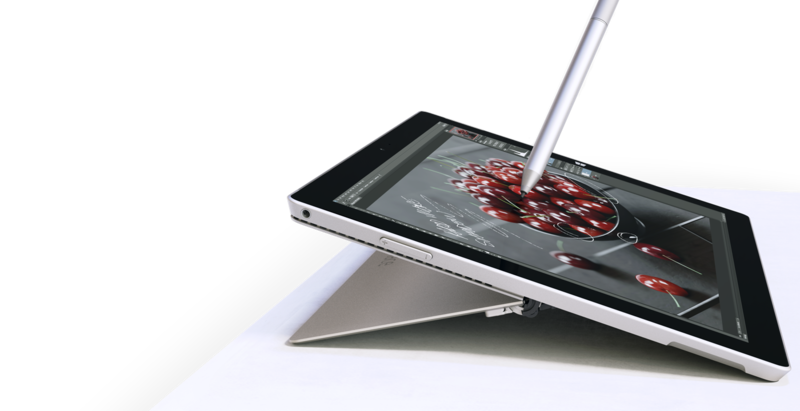 The screen dimensions on the Surface Pro 3 are 12 inches wide and 8 inches high with a thickness of 9.1mm. The Surface Pro 2 has screen dimensions of 10.8 inches by 6,8 inches with a thickness of 13.5mm. This ends up giving the Surface Pro 3 a much sharper resolution and will allow you to view pictures and videos in a much higher detail and quality. Despite the larger size, the screen on the Surface Pro 3 weighs a full 100 grams less than the Surface PRo 2. All of these also make the Surface Pro 3 a more likely laptop replacement, a quality Microsoft was aiming at with the launch of the Surface series. Processor wise, both the products feature Intel’s Haswell series Core processors. These, coupled with Windows 8/8.1 provide users the ability to run all of their favorite applications on the products.The Surface Pro 2 features a decent Intel Core i5 Haswell 4300U processor, with a base clock speed of 1.9 GHz. 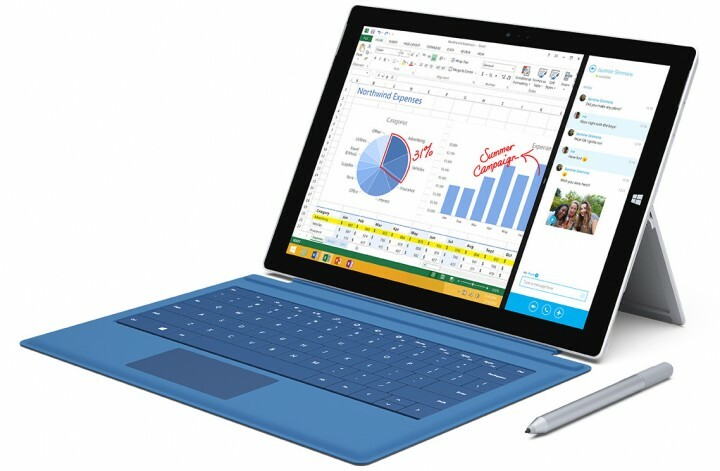 The Surface Pro 3 sees several upgrades and diversification in this departments. The Surface Pro 3 will be available in five different models. These will start from the basic offering, which is equipped with Intel’s Core i3 and coupled with 64 GB of storage space and 4GB of RAM. These go all the way to the highest performing variant, which comes with Intel Core i7, 512GB of storage and 8 GB of RAM. This however creates a confusion for those looking to upgrade their present Surface Pro 2 tablets. The basic offering from Microsoft now feature a Core i3, instead of the Core i5 on the previous model. So, technically, if users with the Surface Pro 3 want an upgrade with similar features, they should end going for the Core i5 variant of the Surface Pro 3 with 128 GB of storage. Coming towards the battery life offered by the two products, the battery life on the Surface Pro 3 is 9 hours. This is a 2 hour increase from the Surface Pro 2, which offers a battery life of 7 hours. Of course, the 9 hours of battery life is what users should expect when web browsing on the Surface Pro 3, according to Microsoft. However, it still isn’t that much of a significant time to make the Surface Pro 3 a viable replacement for laptops. Both rear and front facing cameras on the Surface Pro 3 have received significant upgrades. 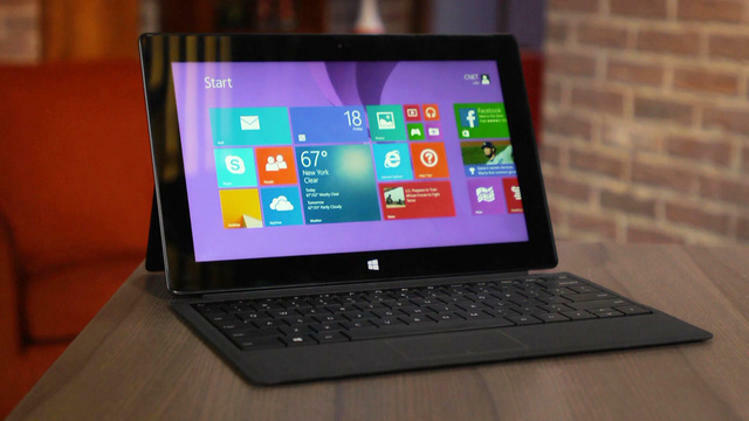 The Surface Pro 2 has front and rear cameras capable of taking stills of 1.2 megapixels and recording video at a resolution of 720p. The Surface Pro 3, on the other hand has front and rear cameras of a resolution of 5 megapixels and can record videos at 1080p. Now that we’re done with the hardware and performance features of the tablets, let’s move towards other features such as the kickstand and other accessories. Speaking of the kickstand, the kickstand on the Surface Pro 2 has two positions. On the Surface Pro 3 however, the kickstand has been revolutionized dramatically. The kickstand on the Surface Pro 3 can be put in any position for 150 degrees. The type cover for the Surface Pro 3 is larger than that of its predecessor and now can cover the entire tablet. It is also thinner and includes a wider trackpad with better buttons. The Surface Pro 3 also features magnets to hold the keyboard in its place. However it should be kept in mind that the Type Cover is an accessory that does not come with the initial purchase. It cost an additional $ 129. The Surface Pro 3 however also comes with a complementary Surface Pen. By pressing a button at the top of the pen, users can speedily access Microsoft’s OneNote app. However, the pen can only be stored on a loop on the body of the Surface and not on the inside. The prices on the Surface Pro 2 range from $ 899 for the base model to $ 1799 for the top of the line. Comparing this with the Surface Pro 3, the latter has a smaller base model price of $799 but a higher top line price of $1899. This is due to the fact that the base model for the Surface Pro 2 features an Intel Core i5 while that for the Surface Pro 3 features an Intel Core i3. Speaking in terms of screen resolution, battery life, camera quality and other miscellaneous features, the Surface Pro 3 does indeed come out on top of the Surface Pro 2. The Surface Pro 3 also has a much diverse range of processors available to pick from, and these cover a lot of different budget options. It ends up offering better value. If you’re upgrading from the Surface Pro 2, then you have to decide whether the upgrades in the Surface Pro 3 are enough to cover your dollar value, or if and whether you’re better off without them.